What is the cheapest way to get from Cancun Airport (CUN) to San Ignacio? The cheapest way to get from Cancun Airport (CUN) to San Ignacio is to bus and rideshare which costs $500 - $900 and takes 13h 57m. What is the fastest way to get from Cancun Airport (CUN) to San Ignacio? The quickest way to get from Cancun Airport (CUN) to San Ignacio is to fly and bus which costs $2100 - $7000 and takes 7h 23m. 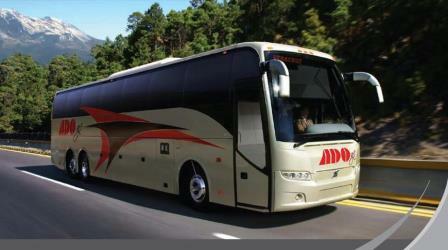 Is there a direct bus between Cancun Airport (CUN) and San Ignacio? 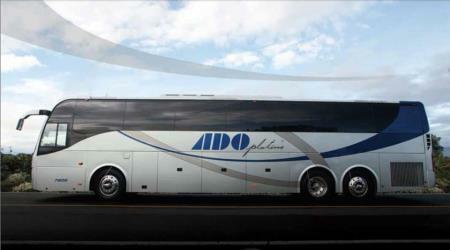 No, there is no direct bus from Cancun Airport (CUN) to San Ignacio. However, there are services departing from Cancún International Airport and arriving at San Ignacio via Playa del Carmen Terminal Turística, Tulúm and Belize City. 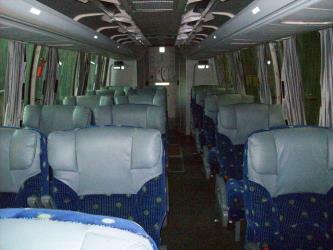 The journey, including transfers, takes approximately 12h 12m. How far is it from Cancun Airport (CUN) to San Ignacio? The distance between Cancun Airport (CUN) and San Ignacio is 489 km. The road distance is 596.3 km. How do I travel from Cancun Airport (CUN) to San Ignacio without a car? The best way to get from Cancun Airport (CUN) to San Ignacio without a car is to bus which takes 12h 12m and costs $650 - $1800. How long does it take to get from Cancun Airport (CUN) to San Ignacio? It takes approximately 8h 6m to get from Cancun Airport (CUN) to San Ignacio, including transfers. Where do I catch the Cancun Airport (CUN) to San Ignacio bus from? Cancun Airport (CUN) to San Ignacio bus services, operated by Yellow Transfers, depart from Cancún International Airport station. Bus or fly from Cancun Airport (CUN) to San Ignacio? The best way to get from Cancun Airport (CUN) to San Ignacio is to fly which takes 8h 6m and costs $2700 - $18000. Alternatively, you can bus, which costs $650 - $1800 and takes 12h 12m. How long is the flight from Cancun Airport (CUN) to San Ignacio? There is no direct flight from Cancun Airport to Belmopan Airport. The quickest flight takes 12h 27m and has two stopovers. Where does the Cancun Airport (CUN) to San Ignacio bus arrive? 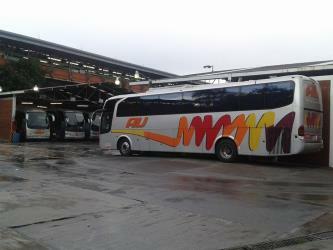 Cancun Airport (CUN) to San Ignacio bus services, operated by Westline, arrive at San Ignacio station. What companies run services between Cancun Airport (CUN), Mexico and San Ignacio, Belize? Tropic Air, American Airlines and two other airlines fly from Cancun Airport (CUN) to San Ignacio every 4 hours. Alternatively, you can take a bus from Cancun Airport (CUN) to San Ignacio via Playa del Carmen Terminal Turística, Tulúm, Belize City, and Belize City in around 12h 12m. Rome2rio's Travel Guide series provide vital information for the global traveller. Read our range of informative guides on popular transport routes and companies - including South Korea: Travelling from Seoul to Busan , Bali: What to do if Mount Agung erupts and How to get from Gatwick Airport into central London - to help you get the most out of your next trip. What is the time difference between Cancun Airport (CUN) and San Ignacio? San Ignacio is 1h behind Cancun Airport (CUN). It is currently 11:20 AM in Cancun Airport (CUN) and 10:20 AM in San Ignacio. Can I drive from Cancun Airport (CUN) to San Ignacio? Yes, the driving distance between Cancun Airport (CUN) to San Ignacio is 596 km. It takes approximately 9h 3m to drive from Cancun Airport (CUN) to San Ignacio. Which airlines fly from Cancun Airport to Belmopan Airport? American Airlines, Copa Airlines, United Airlines and Tropic Air offer flights from Cancun Airport to Belmopan Airport. Where can I stay near San Ignacio? There are 97+ hotels available in San Ignacio. Prices start at $50 USD per night. Xunantunich is an Ancient Maya archaeological site in western Belize, about 70 miles (110 km) west of Belize City, in the Cayo District. Xunantunich is located atop a ridge above the Mopan River, well within sight of the Guatemala border – which is a mere 1 km to the west. It served as a Maya civic ceremonial center in the Late and Terminal Classic periods to the Belize Valley region. At this time, when the region was at its peak, nearly 200,000 people lived in Belize. Belize Botanic Gardens (BBG) is 45 acre of native and exotic plants growing in the Cayo district of western Belize. The garden is in a valley on the banks of the Macal River, surrounded by the Maya Mountain foothills. Elijio Panti National Park nests within the buffer zone areas of Cristo Rey, San Antonio and El Progresso village and extending to parts of the Mountain Pine Ridge Reserve in the Cayo District, Belize. The park was established by the Itzamna Society and was signed into law as a national park by the Government of Belize on 23 February 2001. It encompasses 13 006 acres (20 sq. miles) of mountainous terrain with breath taking waterfalls, numerous natural pools, medicinal trails, a biodiversity of flora and fauna and an extensive cave system used by the ancient Mayas for sacrificial purposes. Above all, the national park serves as a memory of the late Dr. Elijio Panti, who is widely revered as the last Maya master healer of Belize. Big Rock Falls is a 150-foot waterfall on Privassion River, in the Mountain Pine Ridge Forest Reserve of the Cayo District of Belize. Rome2rio makes travelling from Cancun Airport (CUN) to San Ignacio easy. Rome2rio is a door-to-door travel information and booking engine, helping you get to and from any location in the world. Find all the transport options for your trip from Cancun Airport (CUN) to San Ignacio right here. Rome2rio displays up to date schedules, route maps, journey times and estimated fares from relevant transport operators, ensuring you can make an informed decision about which option will suit you best. Rome2rio also offers online bookings for selected operators, making reservations easy and straightforward. Need a rental car at Chetumal (CTM) airport?